The show was held on January 28, 2012 at the World of Pets Expo in Timonium, Maryland. I found this show to be particularly challenging due to its small size and expo style format. The competition was very tight with only 10 kennels and a limit of 8 gerbils each. This caused show goers to be very selective of whom they entered. Often the difference between first and second place were minor flaws and personality. A few stray white hairs, a stained belly, or greasy fur could be the deciding factor. Just as easily, a calm and alert gerbil would outshine a gerbil who was nervous. The Best in Show was unusual to have seven females and only five males competing for BIS. 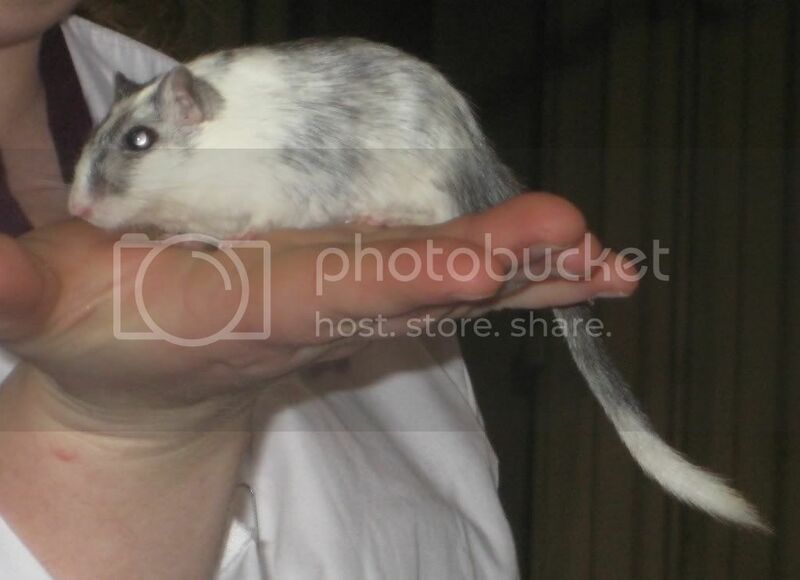 I was thoroughly pleased to see that of the 12 gerbils competing for BIS six of them were either shown or bred by me. I did manage to complete two more championships. Although none of the ones I showed earned the title of BIS or BOS one of the males I co-bred with Donna did earn Best In Show. I exceptionally proud of Izzy! He takes after his mom, Lily of the Valley, a champion and Best in Show winner herself. I'm thrilled that Jo has allowed me to bring him home and continue Lily's line here at Moonstone Gerbils before I return him to her at the New England Show this May. BWC's ABC's So Totally Izod "Izzy"